After a quaky 3 years at Lincoln University completing a B.Com (Ag) the call to come home rang strong and I started with Zeafruit early 2014. 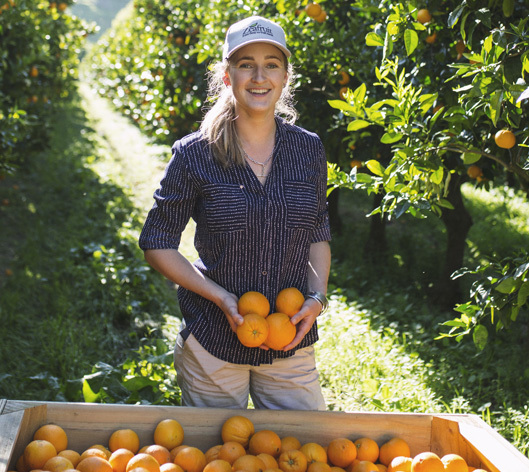 As Sales Manager and GM Gisborne Operations my role covers all facets of the supply chain from field to fruit bowl and I work closely with all of the Zeafruit and packhouse teams. I spend most of my days in the Gisborne office and packhouse but I enjoy getting out into orchards and travelling the country to meet customers. I get to work with likeminded people and face new challenges every day which I thrive off. When I don’t have my Zeafruit hat on you’ll find me on my fiancé’s apple and kiwifruit orchards or racing in a jet sprint boat.